매력적인 리마 시내에 있는 본 숙소(래디슨 산 이시드로 호텔 앤 스위트)는 리마의 쇼핑, 문화, 레스토랑 중심지에서 전망 좋은 위치를 자랑합니다. 이 곳에서 생동감 넘치는 도시의 많은 것을 최대로 즐길 수 있습니다. 본 숙소는 Parroquia Nuestra Senora Del Pilar, Casa del Habano, 후아카 후알라마르카 등과 같은 많은 관광지 및 명소와 가까운 거리에 있습니다. 본 숙소는 최고의 시설과 서비스 제공을 통해 투숙객이 편안함을 느끼도록 최선의 노력을 다하고 있습니다. 투숙객 편의와 편안함을 위해 숙소에서 24시간 프런트 데스크, 여행 가방 보관, 주차장, 룸서비스, 패밀리룸 등을 제공합니다. 모든 숙소에는 편의 시설이 마련되어 있어 비할 데 없는 편안함을 선사합니다. 본 숙소에서 피트니스센터, 실외 수영장 등을 포함해 다양한 여가 시설/활동을 즐길 수 있습니다. 래디슨 산 이시드로 호텔 앤 스위트의 전문적인 서비스와 다양한 특색의 매력적인 조합을 발견해 보세요. 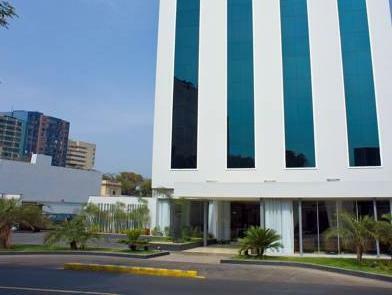 A nice modern Radisson hotel in a decent location in Lima. 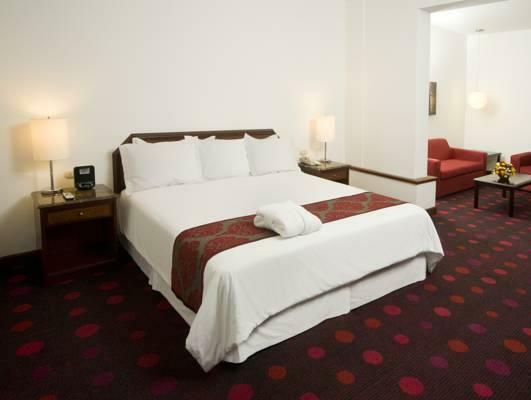 A good option for a 1 or 2 night stopover. We enjoyed the breakfast and the service was very good. Good gym, and they gave us $10 free drinks vouchers per day to use in the bar. The restaurant food was excellent for a quiet night in before our flight out to Cuzco the next day. I would recommend this hotel and we would stay again.